It is a high altitude alpine lake. The trek has true Mountain beauty. Day 1: Pick up from Manali bus stand, between 12.00 pm to 2.00 pm. Drive from Manali to Gulaba. 1 hour trek to the meadows campsite. Day 4: Rola Kholi (12,566 ft) to Gulaba (10,370 ft); 3-4 hours, 5 km. Drive to Manali. You are expected to reach Manali by 3:30 pm. 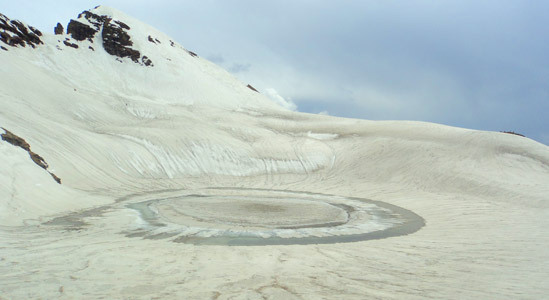 Bhrigu Lake is a high altitude beautiful lake, and it will takes three days to summit from Manali. 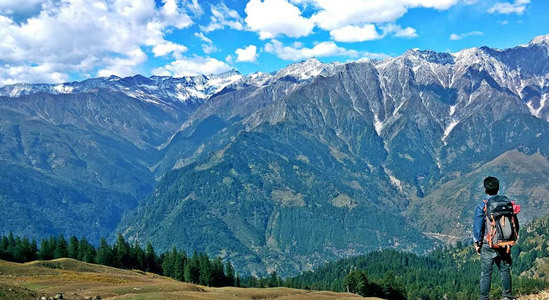 The best thing of Bhrigu Lake Trek is that you reach at the height of 14,000 ft in only three days, as Himalaya Trek takes four or five days to reach at this altitude. The sharp trail takes us through deep forests and meadows which opens into the beautiful campsite of Rola Khuli. During the trek, keep your eyes on Hanuman Tibba and Seven Sisters peaks. Next day, you trek towards the round shaped lake which is believed to change colours with seasons. 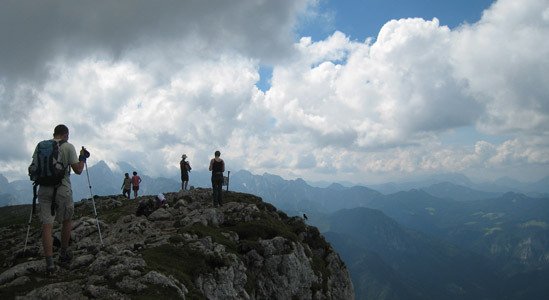 The view of place is amazing here, because of the high altitude and the clouds will be floating around you. When you come back after summit to Pandu Ropa, you will find the grass that is taller than you. You also experience the traditional villages and apple orchards in the last leg of the base camp. 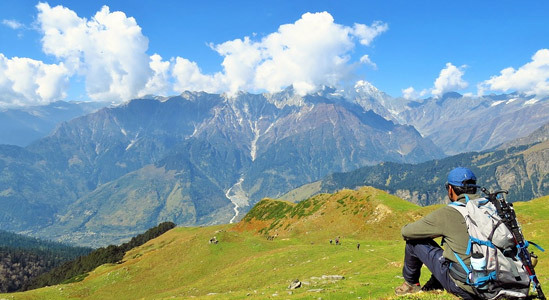 Bhrigu Lake trek is a short trek at high altitude, near Manali which takes you to beautiful Bhrigu Lake situated at an altitude of around 4,300 metres (14,100 ft) in Kullu district, Himachal Pradesh. It is located to the east of Rohtang Pass and this trek offers some of the best campsites. Pick up from Manali bus stand, between 12.00 pm to 2.00 pm. Drive from Manali to Gulaba. 1 hour trek to the meadows campsite. Your trek starts by the forest and meadows with Manali and Solang Valley in the back. The most noticeable peaks are Mt. Hanuman Tibba and the Seven Sister peaks located at Beas Kund Valley. After 3-4 hours of trek, trail will take you to Kolang Nallah. After the bridge hike, trek for another 1.5 to 2 hours to reach Rola Kholi, our campsite for the night. Rola Kholi has beautiful view with mountains on 3 sides which save it from stormy winds. Time taken: 5-6 hours, 10 km. Today we have to trek very long, so we have to start early in the morning. When we pass the lake, you found that the trail color change from green to brown and to white. 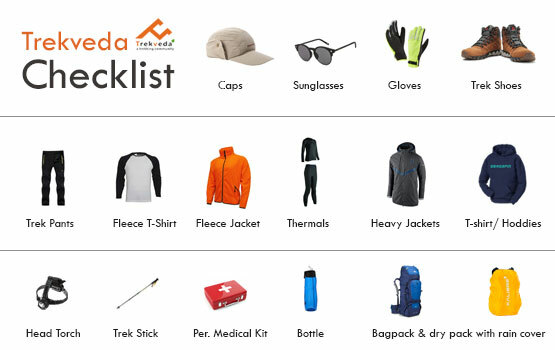 We requested to the trekkers that get ready and keep fit for today because the trails are too difficult and long. Once we reach the lake, the view is wonderful, because of the frozen lake. If you trek the lake throughout summer, you find that the grass and tiny alpine flowers are nearby the lake. After spending time at the lake, we trek to back to Rola Kholi. The base for the night is at Rola Kholi. Day 4 : Rola Kholi (12,566 ft) to Gulaba (10,370 ft), Drive to Manali. Today's trek is an easy one. We get back to Gulaba through the meadows we came up from. It takes 3-4 hours to reach Gulaba. And back to Manali, as expect we reach Manali by 3.00 pm. The trek expense of Rs. 5,999 + 5% GST takes care of all expenses of the trek from Gulaba to Gulaba.